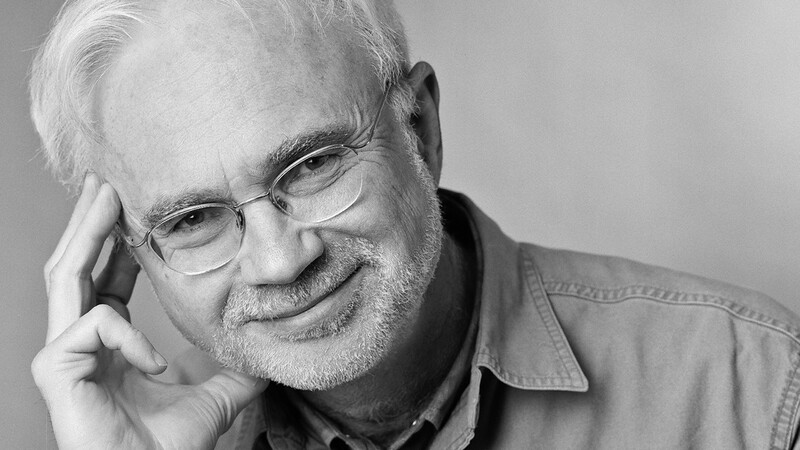 Not words you’d expect to hear from one of our most successful living composers, but perhaps reassuringly, even John Adams finds the creative process challenging. In October 2015, the Royal Academy of Music hosted John Adams in conversation with journalist Paul Morley. I edited the 2 hour public event into a podcast for Sinfini Music. Q: How do you make contemporary classical music popular – really popular? A: Ask John Adams, a composer whose formative years were a cultural clash, the unyielding modernism of Boulez brushing up against the totemic folk rock of Bob Dylan. From this, he has distilled a harmonically rich minimalism combining aesthetic rigour, unflinching social commentary and showmanship. It’s a hugely successful formula. In October, the Royal Academy of Music invited Paul Morley to interview John Adams as part of a day celebrating his music. The pair discussed everything from the difficulty of starting a new piece to the question ‘what is minimalism?’ The podcast above is an edited version of that discussion. However, inspiration doesn’t always come without a struggle. Adams might be one of today’s most successful living composers, having written widely performed works for orchestra, opera, video, film and dance as well as electronic and instrumental music, but he still describes starting a new piece as ‘hell’. Often, it’s a confrontation in more than one sense of the word: Adams grew up in a house where both Mozart and Benny Goodman were regular fixtures on the record player, and went on to study in San Francisco at a time when music by Steve Reich and Philip Glass shared the shelves with records by the Beatles and Bob Dylan. This clash of cultures is often reflected in his music. Adams is most often described as a post-minimalist composer: he takes minimalism as a starting point, then shakes it up and puts it through the wringer to see what comes out the other side. His music typically differs from traditional minimalism in that it has greater depth, fluidity and dynamic contrasts. Adams has carried that sense of drama through into much of his symphonic music, and his operas in particular. In them, he’s tackled some of the biggest political questions of the past century: Nixon in China deals with the former US president’s controversial visit to China in 1972; The Death of Klinghoffer is about the murder of Leon Klinghoffer on board the Achille Lauro in 1985, while Doctor Atomic deals with the birth of the atomic bomb. This podcast is an edited version of a public interview held at the Royal Academy of Music on 26 October 2015. Many thanks to John Adams, Paul Morley and the Royal Academy for their collaboration.